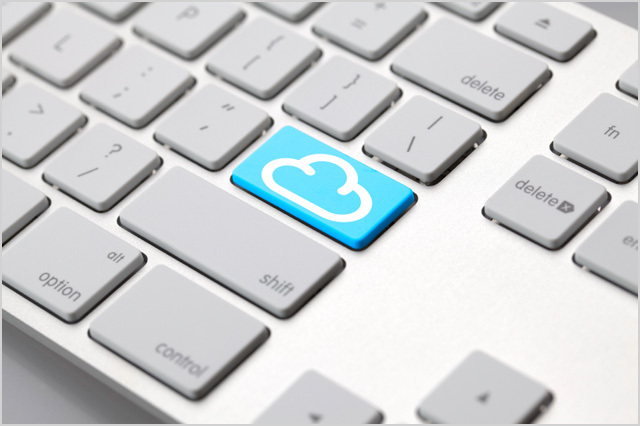 news Australian public cloud computing company Ninefold has launched a new cloud storage service entitled Business Cloud Drive. This service enables organisations of 100+ users to store, access and share their continually growing amounts of data in a secure, local and easily accessible location. Identifying the need for a secure and business-appropriate document storage platform hosted on Australian soil, Oxygen selected Ninefold to be the exclusive technology partner for its existing storage infrastructure, the release stated. According to the company, Ninefold’s cloud storage infrastructure which supports Business Cloud Drive is currently the only true Australia-based alternative to Amazon’s popular AWS S3 platform. The service offers object-based storage to manage the challenges of spiralling storage requirements, scalable infrastructure needs, Bring Your Own Device (BYOD) flexibility, collaboration and geographically designed workforces, while maintaining full IT control. Ninefold has designed Business Cloud Drive to take the place of consumer-focused cloud storage services such as Dropbox, which organisations use with little content security or permissions control. Dropbox, founded as a Y Combinator start-up is also a web-based file hosting service using file synchronisation to allow users to store and share files and folders across the Web. Another online file sharing and cloud content management service used by enterprise companies is Box, founded in 2005 and based on a freemium business model. The Ninefold service charges customers for the actual storage and bandwidth consumed at globally competitive prices. Business Cloud Drive uses the same scalable pricing model plus a license fee for the Oxygen platform. Peter James, managing director at Ninefold said that Ninefold’s Business Cloud helps simplify the complex, data-rich world that organisations deal with, including “zetabytes, big data, data security, analytics, online collaboration, data jurisdiction, disaster recovery, performance, BYOD devices, information management, mobile workforces, compliance, OPEX, CAPEX…” According to James, the launch of Business Cloud Drive is a significant point in the company’s evolution, propelling it into a globally competitive market and demonstrating its growing maturity to support the market. Alexander Teu, VP business development at Oxygen Cloud said that Oxygen enables businesses to secure, control and protect their information across the company, globally and on any device. “We’re fortunate to partner with Ninefold, which has a keen understanding of business requirements around data security. Our joint solution enables Australian citizens to safely store their information in Ninefold’s cloud infrastructure to provide secure mobile access to storage,” Teu explained. Is there a market for an Australian version of a global enterprise IT cloud service like Box? Definitely. For years, Australian organisations have struggled to keep their employees’ valuable files synchronised with central file servers. Employees generally don’t like using such file servers, preferring to keep documents stored on their local PCs and then emailing them to colleagues, while IT departments have struggled with easy ways to make sure those files aren’t lost if the PCs suffer corruption or are simply stolen. Solutions like Box represent the best of all worlds. Dropbox-style file synchronisation focused on the enterprise, featuring both incredible ease of use alongside enterprise-level capabilities and control. This style of ‘enterprise 2.0’ technology probably hasn’t been adopted as widely in Australia as countries like the US yet, purely because many organisations need their data to be maintained on-shore. Not being a US company is a huge selling point. There is a huge market for online storage, but the risk of dealing with a file storage company with any link to the US is too great for many businesses. Mere allegations of copyright infringment have been sufficient to force US companies such as Dropbox, MegaUpload and the somewhat related JotForm to block all access to their customer’s data, often without notice. Hi Matt – we’ve taken that into account. Ninefold host the Oxygen solution in a “private” capacity so Oxygen Cloud could not block access to customer data even if they wanted to – the whole schebang is run and hosted on Ninefold’s infrastructure in Macquarie Telecom’s Sydney based data centres. It’s no different to your organisation buying and running a NetApp, Dell or HP SAN – sold and supported by US companies but safely outside the reach of the Patriot Act. Sounds promising, I wonder when they will release a 1-5 seat version.